Nestable plastic pallets from The Workplace Depot are perfect for the storage and distribution of a variety of goods, especially in tight spaces. These pallets are made of lightweight plastic and are available in three industry-standard sizes for your convenience. What is the purpose of Nestable Plastic Pallets? 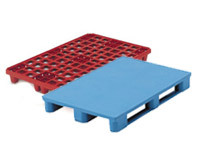 Nestable plastic pallets are designed for the general storage and distribution of goods. Each plastic pallet includes hollow plastic legs that allow it to be nested with another pallet. When not in use, these pallets can be stacked together, saving valuable space. 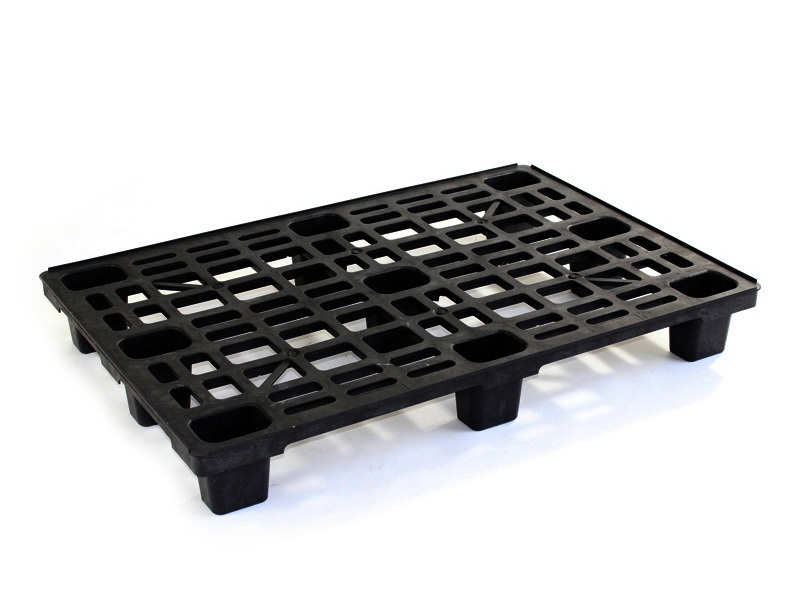 Nestable plastic pallets can be used anywhere goods are stored or distributed, such as grocery stores and warehouses. They can also be used in factories where goods are manufactured. These plastic pallets are especially useful in tight spaces, since they conveniently nest when not in use, clearing up storage space. Their lightweight plastic material also makes them easy to move out of the way when not in use. Anyone working in the aforementioned places (grocery stores, warehouses, factories, etc. 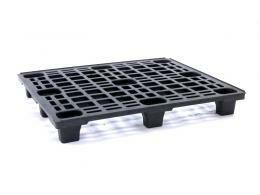 ), or anyone who regularly comes in contact with stored goods, could benefit from using nestable plastic pallets. Grocery store owners, warehouse employees, manufacturers, and distributors of all types of goods can use these pallets. 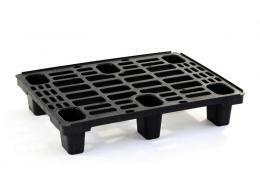 Product stockers, product distributors, and factory workers in various industries can also use these plastic pallets. Available in Half Euro, Euro, and UK industry-standard sizes. Comes with a year standard parts and labor warranty. Minimum order quantity is five pallets. UK size pallets have a static and dynamic capacity of up to 1000 kg. Euro pallets have an 800kg dynamic and static capacity. Half Euro pallets have an 800kg static capacity and a 300kg dynamic capacity.